The photolithography requirements for MEMS, Biomedical and Optical devices may vary widely depending on the design and function of the chip. MEMS and Biomedical devices may demand a field size that is larger than standard photolithography stepper equipment can support. On the other hand, Optical devices may require smaller geometries and tighter line widths than can be achieved by a contact aligner. Understanding the photolithography capability of a potential manufacturing partner can help you determine if they are a good fit for your project. Rogue Valley Microdevices maintains both I-Line stepper lithography equipment and contact lithography equipment with Front-to-Back alignment capability. Our Front-to-Back contact aligner offers a unique advantage to MEMS device customers, by enabling features to be patterned on the backside of the substrate in perfect alignment with features on the front side of the substrate. 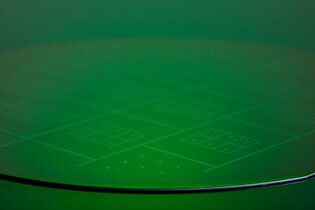 We also offer Lift-Off processing which combines photolithography and deposition techniques into one process module, altogether eliminating the etch processing while achieving the same results. 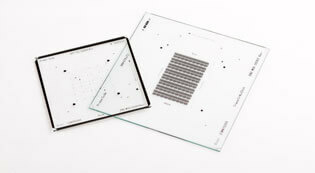 All Lift-Off and Etch processing is available on wafers sizes up to 200mm in diameter. The Rogue Valley Micrdevices MEMS foundry supports device fabrication on 100mm, 150mm and 200mm wafers and can accommodate non-standard materials such as Sapphire, Quartz and Ceramic.